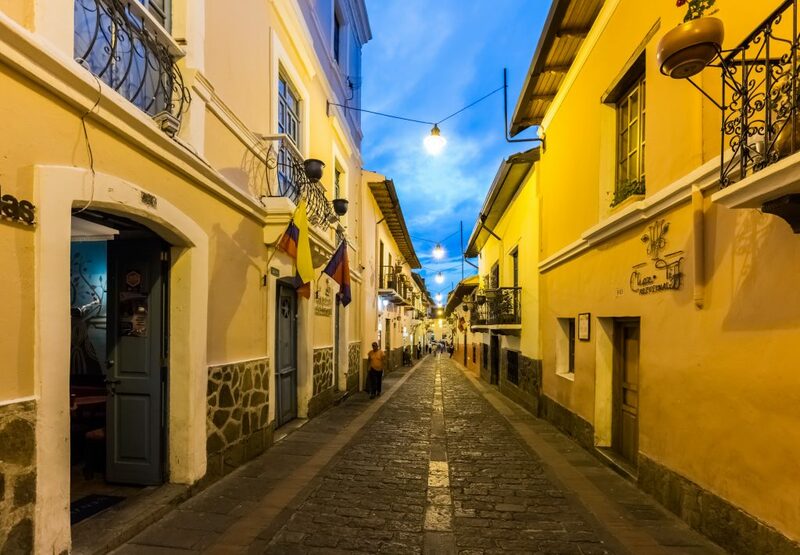 On my first visit to Quito in 1980, a friend told me about an ancient street in the historic section of the city that once was inhabited by Incans and through time evolved into serving many purposes including a hideaway for artists and poets. It also eventually would become rundown with the tawdry side of life including drugs and prostitutes. He told me not to miss it although it was not often visited by tourists. I did visit and at that time it was very rundown and could be described as tawdry. However, you feel the history and realize what a unique street it was. In the late 19th century, La Ronda began to develop its reputation as a bohemian barrio. Over the next several decades, the area became home to painters, poets, political activists, prostitutes, and even priests (most notably, Federico González Suárez, a major figure in Ecuador’s history). As Quito grew and La Ronda gradually depopulated, it was later settled by drug dealers, criminals, and the homeless. Yet, ironically, it benefited from neglect; its historical buildings were never razed to make way for shopping malls, condos, and fast-food franchises. In the late 20th century, a movement began to restore La Ronda.